Market Rasen Scout Leaders have been saddened by the loss of one of their scout post boxes. 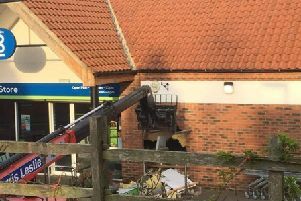 The box was at Market Rasen’s Tesco store. “This leaves us with a few problems,” said leader Maggie Collinson. The group runs the Christmas postal scheme to raise money for the group. The public buys the special scout stamps for their Christmas cards and puts them in the scout post boxes, which have been at three locations in the town; the cards are then delivered before December 25. “We would like to say sorry to all the people who put their cards in the box at Tesco,” added Maggie. This year has been a particularly difficult one for the scout group, as they have had to carry out some serious repairs to their hut, so money raised from the scout post scheme will be missed.